Try try but never cry. 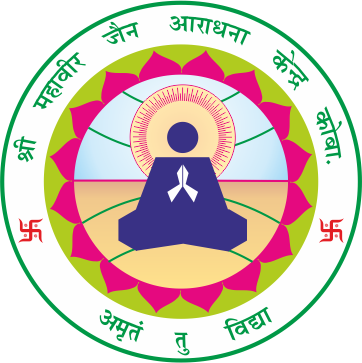 This unique department of Gyanmandir is dedicated to Shri Aryarakshitsuri has its specific aim, mainly to promote study of Jain literature based on Jain tradition. Therefore, to make it easy and successive, the possible equipment and facilities have been applied for special research and study. More than 20 computers, 4 printers, 1 scanner and 2 copier machines have been installed here to avail all the types of information to the knowledge seekers. To provide all possible information about reading materials preserved in the Gyanmandir viz. manuscripts, books, litho-prints, multi-media and antiquities; special computer based programs have been developed. The information system for the manuscripts and books has been divided in five divisions. The information has been made available regarding one or even other names (aliases) of the title, starting sentences, last sentences and the form of the title (such as original, commentary, criticism, translation, study, summary etc) along with name, aliases of the authors, the tradition of the author, (in which the name of Guru, Shisya and period duration etc. are fed), the language of the title, numbers of chapters, stanzas, etc., the type of the literature (prose-poetry etc. ), the formation year and place of the creation. The relation of the information of title, is linked with publication, manuscript and scholar. The information related to publications are entered in computer such as the name of publication as well as other aliases, publication year, publication place, pages and other special information about the publication viz. one or more editors, critics, organizer, compiler and information regarding one or more publication series, associated titles and subtitles. Simultaneously, along with the publication, the work of codification denoting its characteristics is being continued. With more than 100 codes denoting characteristics these publications can be searched out easily according to its form, type of material (content) and printing and ability – level of the readers, despite the name of the publication is unknown. By using these codes even unidentified and not so popular book can also be traced easily. The specific information has been included related to book number, price, the edition or the book can be issued or can not be issued, the condition of the book, the source of the procurement and anything special about the book. The information can be availed about manuscript, number of the manuscript, the form of the manuscript (such as paper, palm-leaf or birch leaf etc.) the number of the sub-titles, name of the scribe, the place and the year of writing. In addition to this, various type of information, related about the form of the edition, the style of the writing and specialties, is stored by using micro codification system. The scholars are categorized in two types. (i) Author: The authors of the main titles, commentators, critics or translators etc. are included in the first category. (ii) Editor: The editors, organizers, compilers, critical editors, manuscript scribes etc. have been included in second category. Any information found of the specific significance is included here denoting the expertise of the authors and the editors, name along with aliases, name and tradition of the specific stream i.e. of the Guru, the name of the disciple, Gachchha-Gotra and duration of the scholars. If any minute information, regarding any publication/ edition/ book/ manuscript is to be obtained, it can be availed easily under the system of program developed here, therefore, in the field of education this facility is regarded as an important achievement. The constant process of updating this program is being done properly according to the necessity and utility both.